Ramsey runs through — and runs down — pretty much every NFL quarterback. But he calls the Vikings' Cousins a "winner" and praises his play-action ability. 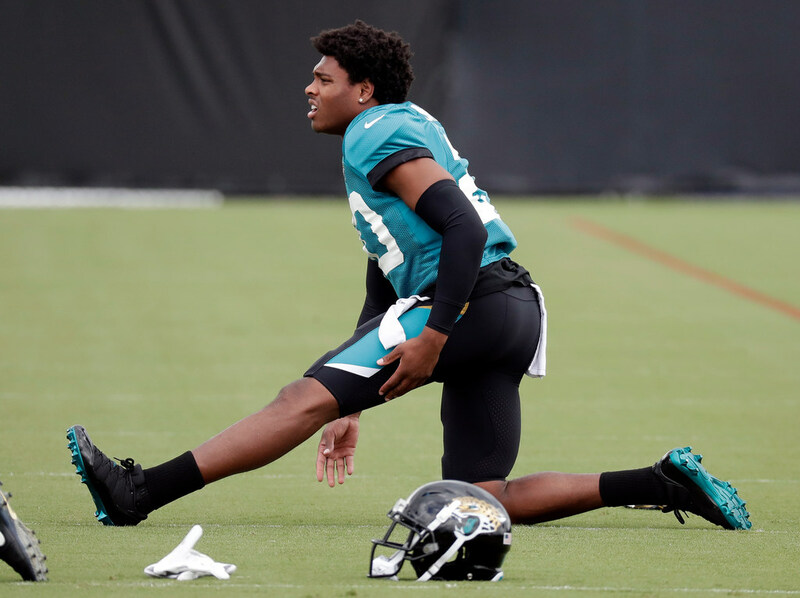 *Jaguars cornerback Jalen Ramsey is one of the best in the NFL at his position. He’s also a prodigious trash-talker who has never been afraid to give an honest opinion. His penchant for mixing it up led him, in fact, to get suspended by Jacksonville for this week after he yelled at reporters who were recording a training camp skirmish. That means he won’t be in Eagan on Wednesday and Thursday for joint practices with the Vikings, so we’ll just have to be entertained by the things Ramsey said in a recent interview with GQ. In that piece, Ramsey runs through — and runs down — pretty much every NFL quarterback. Whew. That’s quite a roll. He did praise a decent chunk of QBs, starting with Tom Brady and Aaron Rodgers. I mean, Ramsey is pretty brash. But I would also invite you to try to spot the lie in his rundown of quarterbacks. It’s pretty spot-on. *In ESPN.com’s standard league fantasy player rankings, the Vikings have a top-10 QB (Cousins), running back (Dalvin Cook), wide receiver (Adam Thielen), tight end (Kyle Rudolph) and defense. Oh, and Stefon Diggs is the 16th-ranked WR. I can’t recall the Vikings ever being bigger fantasy football darlings. It used to be Adrian Peterson and nothing else. *Awful Announcing takes a look at the production lull in ESPN’s acclaimed “30 for 30” series and spins things ahead to what the future might hold for the documentaries. *On the Braves postgame show last night, as best as I can tell: A fan showed up in the background behind the two broadcasters waving some sort of jersey. A security guard or some other team personnel ran to try to stop him. And it didn’t work out so well. Maybe just watch the video?